The bass guitar, specifically the electric bass guitar comes with options for 4, 5, and 6 strings. The six-string electric bass guitar is like a next step for musicians that have mastered the bass guitar’s primary features and want to expand on more note options. Consequently, the six string electric bass guitar is for moderate to expert level musicians looking to expand their skills and their sound. The Gerald Veasley Signature Bass is our next recommendation, costing nearly five times the amount of the first recommendation, but delivering professional sound quality, playing features, and durability. Moderate price, high quality design, and excellent sound features. Made of mahogany, this model is known to be lighter than expected, but still very durable. Although it may seem like a specialized or rare instrument, there are 44 six string electric bass guitars available on the site store called Musician’s Friend alone. They range from $200 to $3,000 and include options for all skill types. To find which six string electric bass is best from the market today, I based my decision off of the many features and options that exist within types of six string bass guitars. I analyzed each of the components of an electric six sting individually- the neck, the fretboard, the headstock, the turns, the scales, the preamps, the bridge, the pickup, the body type, and the body materials. Then I scanned the market of online stores for the best product available that excelled in the most categories. After carefully reviewing all of the products on the market and the various options within each specification, I am sure that the products listed here offer the best value based on sound quality, durability, and specific types. 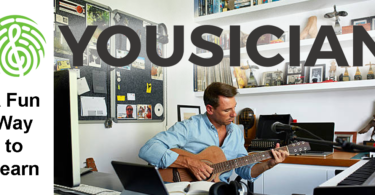 Each part of six string guitar has customizable features with a wide variety of options that will impact the sound quality and how you can play the instrument. Understanding the parts of a six string electric bass will help you find the perfect instrument to meet your needs. The neck is the long part of the guitar that you, the musician, hold and use to play chords. Along the neck you will see slots of metal, called the frets, which you play with your fingers in one hand. 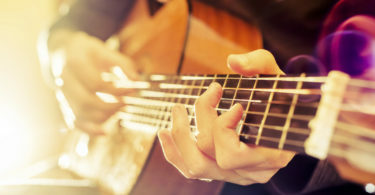 The other hand is used to strum or pick notes on the body of the guitar. The neck has 3 main parts: the fretboard, the headstock, and the tuning keys. Bass acoustics have fretboards on the necks that make up the scales played on the instrument. Some electric bass guitars have truss rods that keep their necks from bending. Truss rods run inside the fretboard and can be adjusted if the fretboard gets twisted. This sometimes happens because bass guitar strings are much thicker and require stronger tension than guitar strings. So, having a bass that includes a truss rod will help the instrument last longer. Electric bass guitars with truss rods come in a wide variety in stores and online. Models like this are moderately priced and great for beginners because over time you may need to adjust your truss rod, but this model will not be too expensive of an investment if this is your first bass guitar. Models that features truss rods and are expert or professional level are also widely available online. 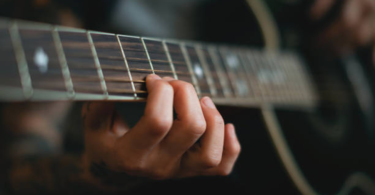 Frets are the small lines along the neck of a guitar that create scales and steps for musicians to place their fingers on and achieve different notes when plucking and strumming the strings. They are an important component to master the use of when learning to play the bass guitar. However, for the most advanced players, a fretless options exists with more similarities to the violin or the upright bass in sound and how it is played than the acoustic guitar. Although currently unavailable, a 6 string fretless electric bass guitar like this one are out there and on the market, though not common, from music stores and online. 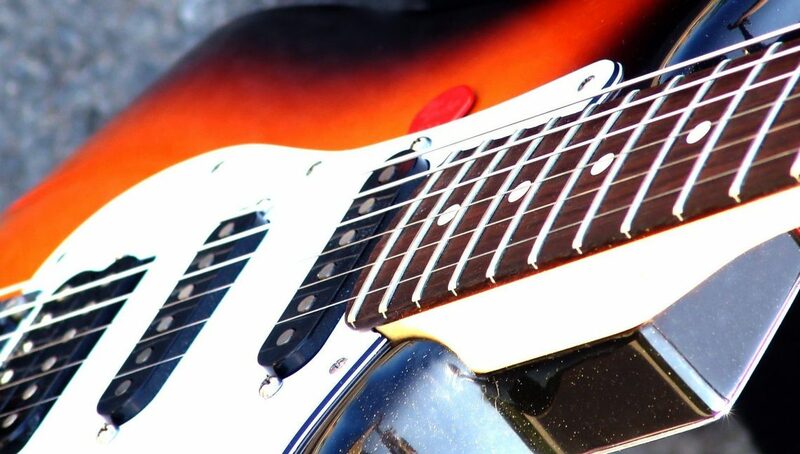 The very top end of the guitar, where the strings connect to the pieces of metal that stick out past the side of the guitar neck, is the piece called the headstock. The headstock holds these pieces of metal, called tuning keys, so that the strings can be turned tighter or looser depending on the desired pitch. Learning how to adjust these tuners properly is an important part of mastering pitch. A bolt is often used to attach the neck and body of bass guitars. The more tight and secure the connection, the better the sound quality will be. The amount of overlap from the neck on the body also impact sound, as more overlap is better than less for secure connections and string tensions. These are attached to the body of the guitar by means of a large piece of hardware. The advantages of using an attachment like this to set the neck in place are that it is tightly secured and creates great sustain and resonance in sound. The disadvantages are that it is harder to adjust than other neck types. These are the most expensive types of necks but at the same time, they produce the best sound quality. Rather than using an extra piece of material to attach a neck and a body, through body necks utilize one large piece of material, usually wood, to create the entire neck, front, and back of the guitar. This creates the cleanest sound of any type of neck design. 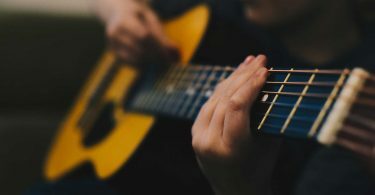 The scale length measures the length of the guitar from the top of the fretboard, or the furthest reach for notes at the top of the instrument, to where the strings are attached at the bottom of the instrument. The part of the neck comes in three lengths, short-scale at thirty inches, standard at thirty-four inches, and long-scale at thirty-five inches. None of these are harder or easier to play necessarily, but just different depending on the musician. Short scale guitars in particular may be easier for musicians with smaller hands and reach. Six string electric bass guitars offer the widest range of notes on any type of electric bass. They reach from a high B to a low B, not available on any other type of electric bass. It is possible to find any type of upright or electric bass guitar with six strings, so knowing each of the specifications you need for the other qualities is imperative to finding the right instrument. 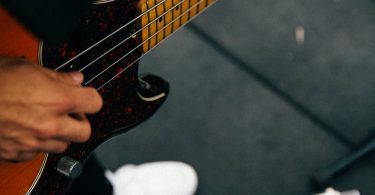 If you are looking to expand you bass playing skills and upgrade to a harder instrument, a six string electric bass has actually offers many different ways to learn based on some of the features below like frets, preamps, and materials. The bridge lies on the body and holds the ends of the strings tightly in place across the body and neck. Bridges have many small movable parts that can be adjust for various tones and pitches. Typically, heavier bridges are the best because they anchor the strings down for steadier sound. There are also three types of bridges on six string electric bass guitars: through bridge, string-through body, and the last, bridge and tailpiece combination. Each has a slightly different way of anchoring the strings and feeding them through or over the saddles. For information on how to adjust a bridge saddle, visit YouTube for many how-to videos like this one. This small piece holds the power of converting the vibrations musicians create when they touch guitar strings to sound because the bridge disperses the vibrations across the body of the guitar to the pickups, where the sound gets intensified. Pickups play the other main role in converting vibrations to sound on an electric bass guitar, working together with the bridge and all six strings. The pickup is a small electromagnetic piece that converts the vibrations to electronic signals. Many six string electric bass guitars have two of these for better sound quality. One feature to note about pickups when selecting your electric bass guitar is the proximity to the fretboard. Pickups that lie closer to the fretboard will create a smoother, more classic sound, while those that lie further down on the body and near to the bridge will create an edgy sound. These have only one coil and one magnet and create energetic, concentrated sound. Their disadvantage is that they can be too noisy for some types of music. These second generation pickups are better at canceling the hum of the coils, but also can create muddled and washed out sounds, especially when they are used at louder volumes. This hybrid pickup is the best for sound quality. It has only one coil, but also uses a layout like a humbucker to cancel noisiness without compromising tone. The electronics in a six string electric guitar can fall into one of two categories: the passive bass and the active bass. There are unique advantages and disadvantages for different users for each type of system. Passive preamps run independently without batteries. This means that they are not at risk for dying during a show or needing to be plugged in while playing. They typically have 3 nobs used to create more of a low-fi sound. As a simpler model, passive electric bass guitars are best for beginners over active bass guitars. Musician’s Friend offers five models of passive six string electric bass guitars, in varying looks and styles. They each feature unique qualities for the neck, body, and materials. Explore some of the best passive electric bass guitars with six strings here. Active preamps run on power but offer more control for the tone and a stronger output for the volume. They offer extra EQ features and can sometimes even have customizable pickups, where you can alter the wiring. Some of the active electric bass guitar even have a switch to move from humbucking pickups to a single coil pickup. With no shortage of high quality features, instrument offers extra note range, control over the vibrations, and expert level sound. There are two main types of bass guitar bodies: hollowbody basses and solidbody basses. The first, hollowbody basses, are hollow like acoustic guitars, have a quiet sound, and use magnetic pickups. Hollowbody basses are also, obviously, lighter in weight. The second type of body, solidbody, is typically better for sound volume because it is denser but also consequently heavier. These bodies can be made of high end expensive woods, laminated or stacked wood, or even plastic on cheaper models. Alder – very popular, offering clarity and balance. Agathist – also popular because it is inexpensive and offers a particularly rich sound. Ash – is a high-quality wood that sounding similar to Alder that offers vibrant tones. Mahogany – another expensive wood, is known for its particularly deep tones and lengthy sustains, offering one for the calmest sounds for any type of wood. On the other hand, it is also heavier to hold and not practical to play for lengthy amounts of time. Basswood – also has unique qualities: the lightweight wood absorbs sounds and offers a shorter sustain. Therefore, some musicians enjoy the ability to hear more notes in a quick span of time while others think Basswood produces a flat sound. Maple – another expensive type of wood, is considered the best type of wood for recording in a studio because the bright sounds have excellent sustain. Other exotic types of wood – available for the high-end collector or musician looking for an added level of customization. Here is an example of a beautiful six string bass that includes a solid swamp ash body, maple and walnut fretboard, and a maple fingerboard. Now that you know about the many features that go into building a six string electric bass guitar, you can learn about the four main types of these instruments, and then search for a model or use our recommendations to find a model that meets your exact needs. There are 4 main types of electric bass guitars, based on the types of pickups they use and now they convert vibrations to sound. Each pickup offers slightly different ways to control sound with the nobs, so it is best to start with the first two for beginners who are learning the ropes of playing bass. The last two types offer a more advanced and customized instrument for expert skill levels. P Bass guitars were the first electric basses invented and yet are still some of the most popular bass guitars on the market. Their main advantage is that they have a wide range of sounds from a deep, full sound to a high pitched, shrill sound. P Bass six strings also have split coil humbucker pickups, giving it the advantages of both types of pickups, and therefore, a great sound delivery. Jazz bass guitars have more dominant sounds when put in bands or behind other main instruments than the slightly more subtle P bass guitars. Ideal for jazz music, they use two single coil pickups and therefor offer extra control over tone. These electric bass guitars offer thicker sound than P bass guitars and jazz bass guitars. To achieve a specific tone, you can mix the volume and tone of each one of the two humbuckers. Requiring slightly higher skill level for to play the full sound range, the nobs offer a chance to master extra customization. Acoustic-electric bass guitars look identical to acoustic guitars with one exception: their size. Built the same size as any other electric bass guitar, the do not require an amp for sound. One advantage, then, is the ability to play right away without setting up any extra equipment. Their tone also differs from other electric bass guitars because they use different types of pickups, called piezo pickups. These pickups have downsides, as they can be more prone to creating feedback and then not working as well with pedals. For simple, portable bass sound without the extra fuss, these hybrids can be solid options. The six string bass is not an introductory instrument, so there is no recommendation listed here by skill level. In other words, there is no “beginner” six string listed because usually beginners opt for a simpler model like a four or five string electric bass. The Ibanez SR-1206E is made of top quality mahogany wood, so it will last a long time if taken proper care of after long uses. Even though mahogany is a high-quality wood type, this particular model of bass guitar is known to be lighter than expected so that you do not wear out from its weight during long practices or performances. 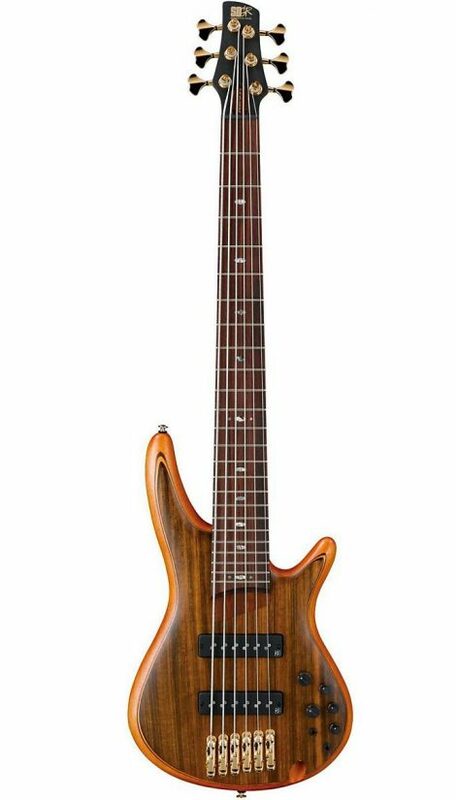 Equipped with two pickups, this electric bass offers a tone and range that suit expert level. In addition to all the great features for playing this instrument, while the sound’s versatility can match well with many genres from heavy metal to light jazz. Also listed for less than one thousand dollars, this is a great electric guitar to add to your set of instruments. 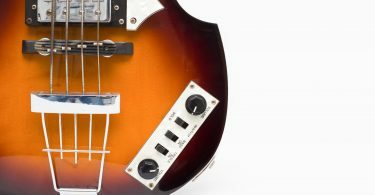 Many musicians buy a six string as a next step in learning to play the bass or as a way to add new sounds to their band or current projects, so we assume that you may not want to spend several thousand dollars. A much more expensive and expert level six string bass, listed at $5,300. With a three piece neck, an alder wood body, and a maple top, each component of this guitar is made with top of the line materials. Named for and designed by a world renowned jazz bassist, this special high-end model is called the Gerald Veasley Signature Bass. 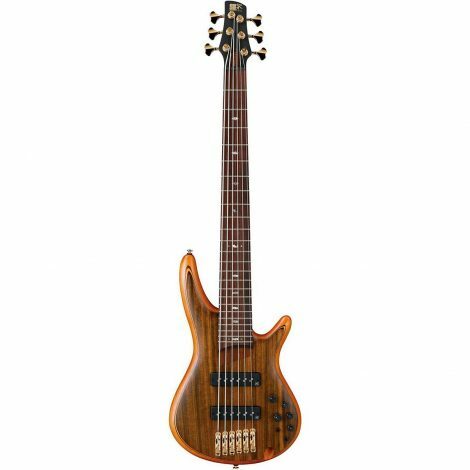 With a high range of notes and tones and expert level craftsmanship, this six-string electric bass offers the best features in each category for a bass that will deliver. This is a comprehensive list of the best six-string electric bass guitars offered at Musician’s Friend through their online store. You may have many other specific needs to consider when selecting the perfect bass for you. For example, if you are adding an instrument to your band’s stage set up, a passive bass might work best because it will need less wires and hook ups. The sound of your band or project and the new sound you are looking to add play a big part in the type of body, neck, and pickups you will want to choose. Your individual body types is another important consideration. If you have smaller arms, you may want to select a short scale. If you have neck and shoulder issues or back problems, you may want to select a lighter weight material than some of the more dense wood options. Finally, the price and budget will play a huge role in the six string electric bass that is right for you. A higher priced item will be best for experienced bass players looking to invest in an instrument that will deliver professional sound for a lasting time. A lower priced item will be a great selection for musicians who are new at playing the six string bass and are not ready to invest in all of the high-end features. Regardless, even for the most advanced musicians, there are a wide variety of this specialized guitar available on the market today, each with unique playing features and slight sound differences. There are electric bass guitars that offer even more strings than six string bass guitars. With highly advanced playing features and a wide range of notes and finger placements, this is one of the most advanced instruments on the market for guitar players. This eight string model features basswood body, maple and walnut neck, and thirty-four-inch scale. It is listed at only five hundred dollars, making it a fun addition to a serious musician’s “extra” instruments for learning and experimenting with new sounds. Some bass guitars with several additional strings are meant as newer, cheaper instruments for professionals to toy around with, but not all of them are like that. This seven string model electric bass offers all the bells and whistles and comes in at two thousand dollars. You can compare the different number of strings on an electric bass guitar and how this factor impacts sound by listening to various solos online. Here you can hear the melodic layered notes on a six string guitar. A seven string bass offers even more notes that can layer uniquely. For a deep jazz bass that uses seven strings, listen to this sample. Lastly, the depth and shrill pitch can both be observed in a wide range of tones in this sample of an eight string guitar. With features like type of body, type of material, neck attachment, bridges, and number of strings, the electric bass guitar is clearly a multifaceted and versatile instrument, offering new learning opportunities as well as sound development for bass players from all genres.